A vertical load W is applied to the linkage shown at B. The spring is unstretched when the bars are horizontal. 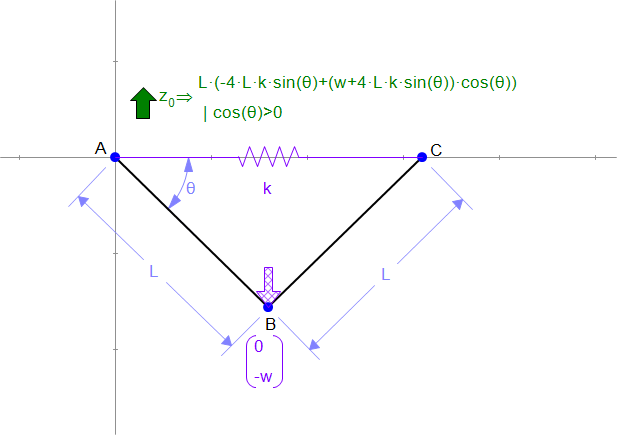 Find an expression for the equilibrium position of the linkage. Our model mounts the spring between A and C and uses a free length of 2*L.
An expression for equilibrium may be derived by equating the reaction in angle θ to 0.